01/08/16 - Equipment hire specialist Kennards Lift & Shift offers a few suggestions on spreading Christmas cheer at busy road worksites in this holiday season. 01/08/16 - Kennards Lift & Shift has acquired 26 Self Contained Breathing Apparatus (SCBA) units for their equipment hire range. 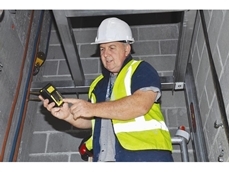 01/08/16 - A gas detector hired from Kennards Lift & Shift protected workers installing steel platforms in an electrical services shaft at Star City Casino. 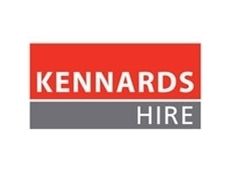 01/08/16 - Kennards Lift & Shift specialises in the supply and installation of a range of material handling systems and safety systems for commercial environments. 31/07/16 - Mini-conveyor system, hired from Kennards Lift and Shift, moved 27 tonne of building materials down a steep, rugged home site in less than nine hours. 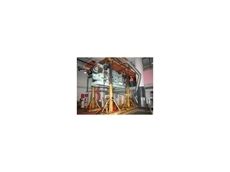 31/07/16 - Four 10-tonne chain blocks, suspended within a hydraulic gantry system, were used to remove three large motor generators from a difficult site. 31/07/16 - Heavy and bulky machinery weighing up to five tonnes can be moved safely and economically with new skoots. 31/07/16 - A tile elevator from specialist equipment hire company, Kennards Lift and Shift, made a roof renovation job easy. 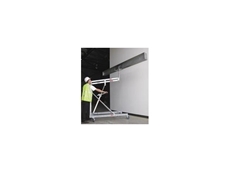 31/07/16 - Kennards Lift and Shift offer a new hoist for lifting steel beams during construction of houses, unit blocks and factory complexes.